East China's Jiangsu province is set to co-brand tourism and knowledge, reported during the press conference launched by the provincial tourism bureau on Sept 12. The bureau said that up until November, it will ask from the public for a large variety of creative and characteristic tourism products, all aiming to attract students and encourage them to learn through travel. The products can be distinctive itineraries across the province or summer and winter programs to enrich the students' holidays. Zhang Guilian, head of the Yangzhou Municipal Tourism Bureau, said the city has taken the lead in developing more than 10 unique learn-through-travel itineraries since last year. 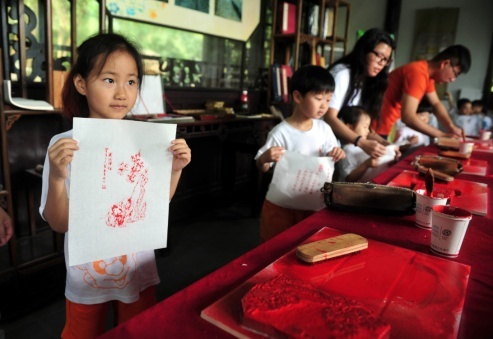 They have made great efforts and statistics indicating the number of students visiting Yangzhou was rewarding, which grew to 130,000 in 2017. Jin Hongyang, an experienced travel advisor, expressed confidence in more and more students from Hong Kong and Macao visiting Jiangsu. He said the province welcomed about 4,500 students from such areas last year, and the number is expected to grow to 9,000 this year.